Qatar Airways will begin nonstop flights between Logan International Airport and Doha, the capital of Qatar, on March 16. 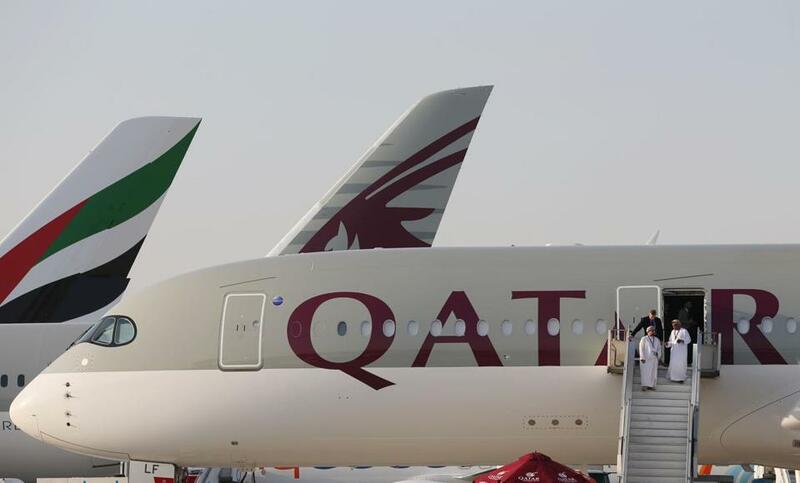 A human rights watchdog group has launched a targeted local advertising campaign calling for a boycott of Qatar Airways days before the carrier begins daily service out of Boston. Washington-based Alliance for Workers Against Repression Everywhere, or AWARE, began running radio ads, including on WBZ news radio, Monday denouncing alleged human rights violations against workers by the airline and the State of Qatar, which owns it. Qatar Airways is slated to debut nonstop flights between Logan International Airport and Doha, the capital of Qatar, on March 16. The rapidly expanding luxury airliner is running a promotional radio blitz of its own leading up to the service launch in Boston. In the radio ad and an accompanying release, AWARE points to reported abuses in the country, including withholding wages from workers and preventing them from unionizing or organizing protests. Most recently, the international spotlight has turned on Qatar over reports of poor working conditions for migrant workers building stadiums there as the Arab nation prepares to host the 2022 World Cup. Representatives from Qatar Airways did not respond to requests for comment. “Qatar Airways is owned by the country. They’re very heavily subsidized by the country, and our feeling is that the United States should be much tougher on human rights violations as we’re starting to do a lot of business with these folks in Qatar,” said Mike Lux, advisory board chair of AWARE. “Bostonians should boycott companies owned and operated by nations that commit serious human rights abuses,” Lux said. Massport declined to comment on the group’s efforts. Qatar Airways is the latest international airline to come to Logan, as the airport continues to expand service to the Middle East and beyond. Over the past decade, the airport has added 26 new international destinations for a total of 53, said Matthew Brelis, Massport’s director of media relations. Last year, Logan served 5.5 million international passengers, up from 4.9 million in 2014. Qatar Airways, one of the fastest growing airlines, has expanded daily service to a number of cities in the United States, including Los Angeles in January and Atlanta starting June 1. The airline will fly its flagship A350 XWB plane between Logan and Doha, featuring 36 business class seats and 247 economy seats.